ALERT! Calls Needed TODAY to Support Florida Forever Amendment! But an important amendment that would provide $300 million for land acquisition under Florida Forever has been filed by Sen. Thad Altman (R - Brevard and Indian River counties). The amendment would also provide $15 million for state parks and $20 million for Kissimmee River land acquisition. I’ve listed the Senators to contact in district order below. The lowest numbered districts are in the Western Panhandle and the highest are in South East Florida. Please make sure you contact the Senator who represents your area first. Just look for the County you live in in the middle column. The emails are also aggregated at the bottom of the contact list. Thanks for all you do! ALERT! Fracking and Septage in Senate Committee on Tuesday - Calls Needed Now! The Senate Environmental Protection and Conservation Committee will hear two bills on fracking and one bill to repeal the prohibition on the land application of septage (what is pumped out of septic tanks). The bills will be heard on Tuesday, March 31 at 1:30 p.m. Please call Committee members and urge them to vote NO on these bills. Talking points are below the committee contact information. Note: Sen. Evers is the sponsor of the Land Application of Septage bill (SB 648) so it would be better not to ask him to vote against his own bill. However, asking him to withdraw it would be appropriate. To avoid confusion I have aggregated the committee emails without including Sen. Evers’ address. His email is provided in the committee list. This bill would eliminate the scheduled prohibition against land applying septage (and all the nutrients it contains). Currently these application sites are under the Department of Health (DOH) and regulations are directed at preventing the spread of disease, not algae causing nitrite - nitrates. Those nutrients can either infiltrate to groundwater or run off into water bodies. There are 88 DOH permitted land application sites and almost 2/3 of them are in the Springs Protection Area. This area has highly karstic geology (fractured limestone) that is known for sinkholes and conduits that can rapidly convey groundwater to springs. There is no requirement in the current rule (64E-6.010) to measure how much of the nutrient load is absorbed by vegetation, and it even permits spreading septage on unvegetated soil. A good strong rain will drive those nutrients down toward the groundwater and aquifer. Prohibiting the land application of septage in the Everglades area has proved effective in reducing groundwater contamination there. Surely our springs deserve the same protection. The two fracking bills have to be considered together - they are inextricably linked. This bill would require a permit for fracking (very narrowly defined) and offer inadequate regulation of the practice. No regulation or permitting regime can guarantee Florida’s drinking water will not be contaminated and with the availability of renewable energy there is no good reason to expose residents and visitors to this risk. This bill would prevent citizens from finding out what toxic chemicals are being injected into the ground and threatening contamination of the water supply under the guise of protecting “proprietary business information” from misappropriation by other well operators. It puts a blindfold on residents who want to protect their family’s health and their property’s value. · There is no way to be sure of identifying and adequately plugging/recasing/sealing all possible abandoned wells within a sufficient radius of the fracking well and horizontal branches (this must take subterranean natural faults into consideration as well as man-made conduits. Yet casings fail. All technologies fail eventually in some number of cases. While the probability of failure may be small, the risk is huge - contaminating the aquifer people use for drinking water would be catastrophic. · Physicians and first responders have no way of getting information to save the lives of victims in case of an accident, or to protect themselves from exposure to toxins. · 'Proprietary business information' or 'trade secrets' non-disclosure provisions deny citizens the right to know about, and do something about, what may be a proximate threat to their health, safety, and property. · There are no federal protections from fracking’s impact on drinking water thanks to the Energy Policy Act of 2005 that exempted fracking from regulation of underground injection in the Safe Drinking Water Act (the Halliburton loophole). Numerous other exemptions for fracking have been adopted at the federal level: the Clean Air Act; the Clean Water Act; the Resource Conservation and Recovery Act; the Comprehensive Environmental Response, Compensation, and Liability Act; the National Environmental Policy Act; and the Toxic Release Inventory of the Emergency Planning and Community Right-to-Know Act. Sierra Club's Beyond Coal campaign met with the General Manager of Lakeland Electric (LE), Joel Ivy and Senior Staff last week and also got a chance to tour the McIntosh Power Plant. 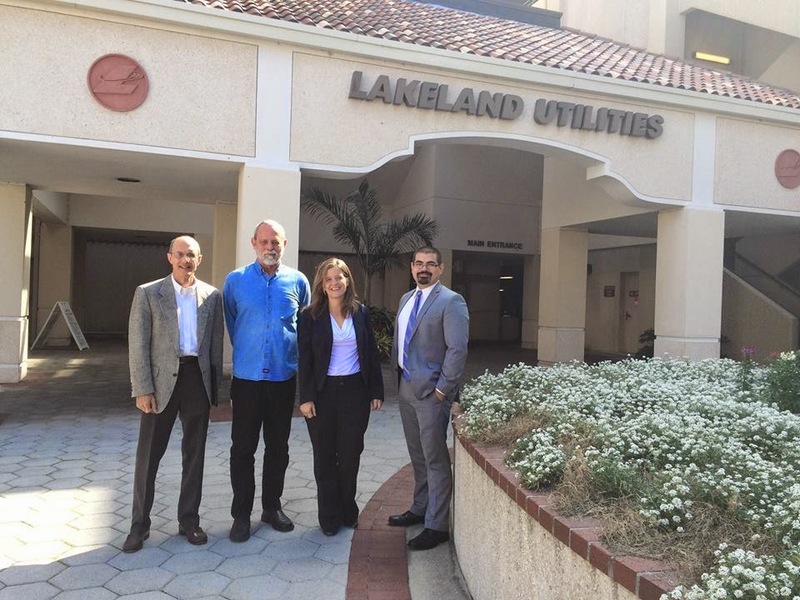 Lakeland Electric is a municipal power company serving 120,000 customers and was the first utility to sell power in the state of Florida. 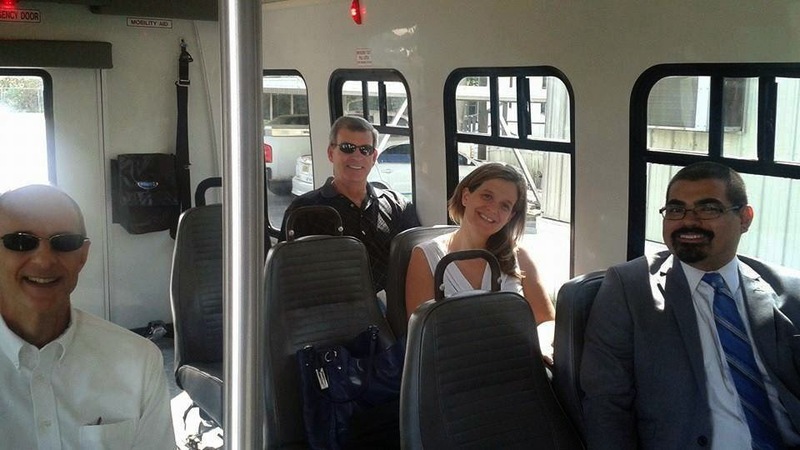 staff Kelly Martin and Tim Heberlein to meet Mr Ivy and Asst Gen. Manager Farzie Shelton to talk about their solar power production and the Clean Power Plan. Lakeland Electric told Sierra Club members that they currently have a 5 MW solar project (one of the largest in the state) and they are scheduled to expand to 24 MW by 2017. Sierra Club members spoke in favor of LE's investment in solar and clean renewable sources, and in favor of strong pollution controls for coal power production, like McIntosh's #3 reactor. Mr. Ivy agreed to keep conversations with the Sierra Club going to figure out how to meet the new EPA Clean Power Plan Guidelines. 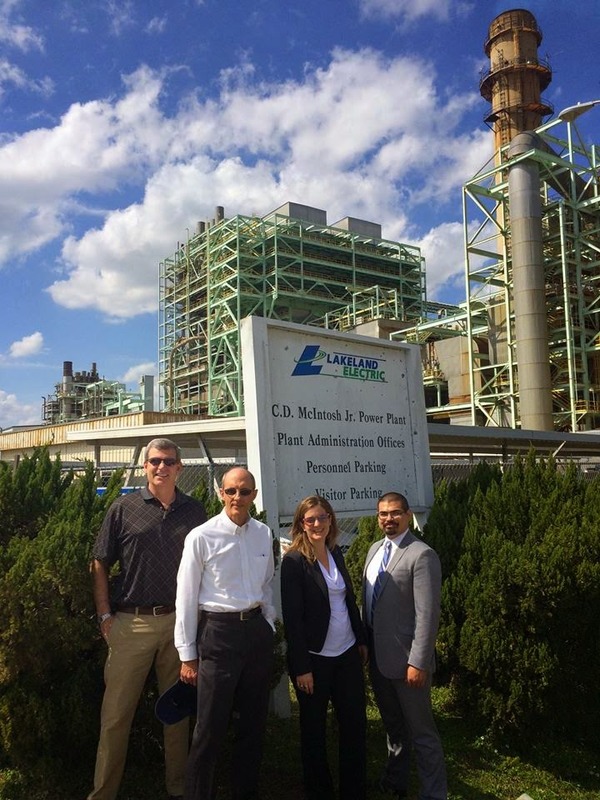 Sierra Club members then took a tour of the McIntosh plant which houses 4 power plants. 2 of them were the 364-MW Coal Plant (#3) and the 365-MW Combined Cycle Natural Gas Plant (#5). Sierra Club Beyond Coal and Lakeland Electric had a very constructive conversation with Mr. Ivy and staff and a very informative tour of the McIntosh plant. Both agreed to keep the lines of communication open and will continue to have this conversation on how to meet Florida's current and future energy needs. A fracking bill that will allow well operators to hide the chemicals they use from the public will be heard in the House Government Operations Subcommittee on Tuesday morning at 8 a.m. Please call the Committee members below to urge them to vote NO on the bill. Phone calls are better than a mass email. Please take a few minutes to reach out to them. CS/HB 1209 - Pub. Rec./High-pressure Well Stimulation Chemical Disclosure Registry by Rep. Ray Rodrigues. HB 1209 disguises its true intention by claiming to be about preventing one business from stealing “proprietary business information” (trade secrets) from another. In reality it is designed to gut the disclosure provisions of the bill it is linked to, HB 1205 titled Regulation of Oil and Gas Resources, also by Rep. Rodrigues. HB 1209 is similar to the relevant parts of an ALEC model bill that can be seen here: http://www.alec.org/model-legislation/the-disclosure-of-hydraulic-fracturing-fluid-composition-act/ The ALEC bill includes the disclosure and trade secrets language in one bill, but the Florida version requires two bills because of Florida’s Constitutional requirement that public records exemptions be in a stand-alone bill. 56 disclosure registry, are confidential and exempt from s.
60 kept confidential and exempt. 62 the information is proprietary business information. Please call these members' offices today. Be polite, but make sure they know this is just plain wrong. Miami ePrix race. Photo by Mike Matthews. 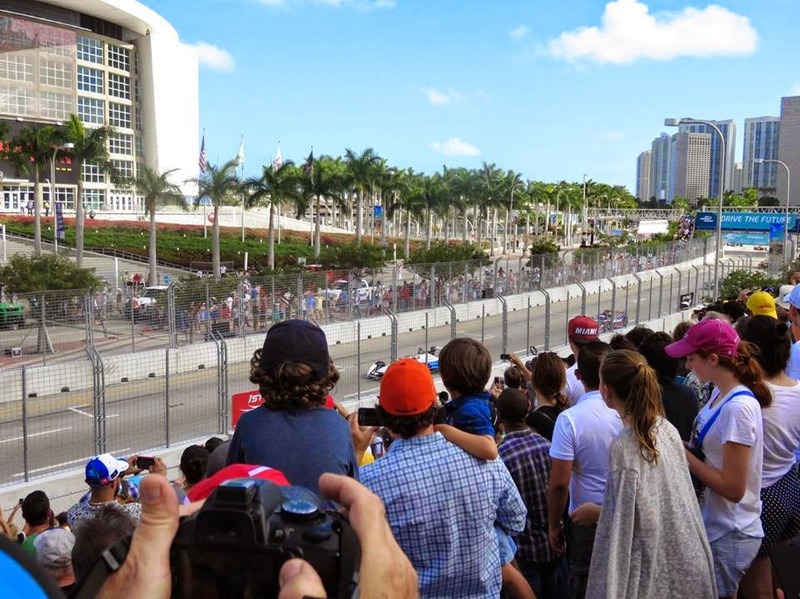 Sierra Club members and supporters cheered as electric race cars hit top speeds of 140 miles per hour through the streets of downtown Miami last Saturday. But this was no typical race. Formula E cars run only on electricity and make no noise except for the faint whir of electric motors. "I loved talking to EV owners and ePrix race fans," said Debbie Matthews Sierra Club Florida Chairwoman. "You got the feeling that you were at the start of something really special. Hearing owners talk about their EVs almost made you feel like they were proud to be part of a movement; they are part of a clean energy solution." 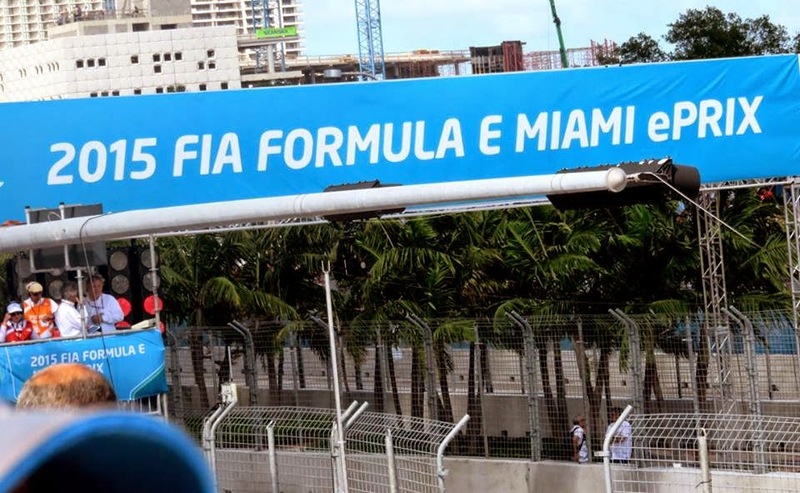 Miami is one of only two U.S. cities to host in ePrix's inaugural season, spanning 10 cities in Europe, South America and Asia. Several hundred Sierra Club members and supporters are believed to have attended the race, which brought 20,000 fans to downtown Miami. Before the race, fans could learn more about electric vehicles in the nearby eVillage. BMW electric cars and Florida Power and Light solar phone charging and miniature car racing stations were just some of the cool displays. Area high schools got in on the action, by building and racing their own electric cars. 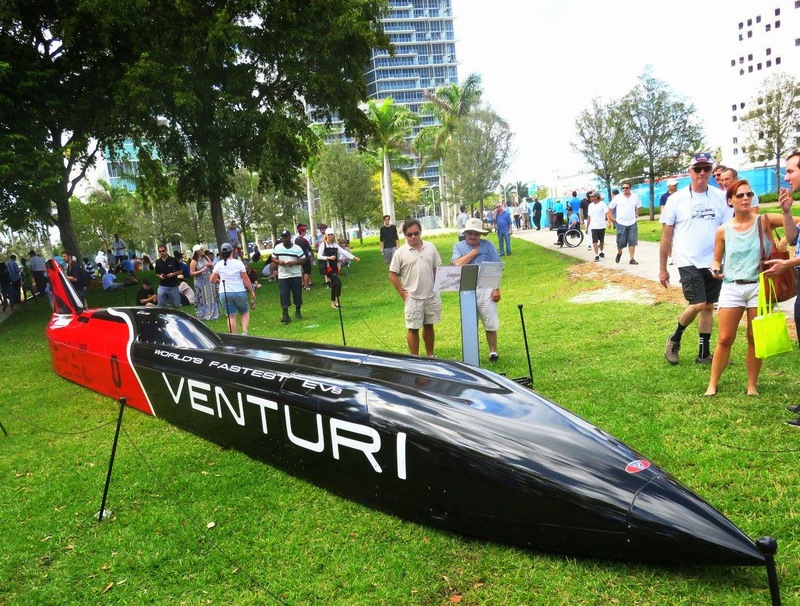 Also on display: the Venturi VBB-3, the world’s most powerful electric vehicle, a 12-meter-long rocket packing 3,000 hp that aims to break the 600-kph barrier (372 mph) this year. 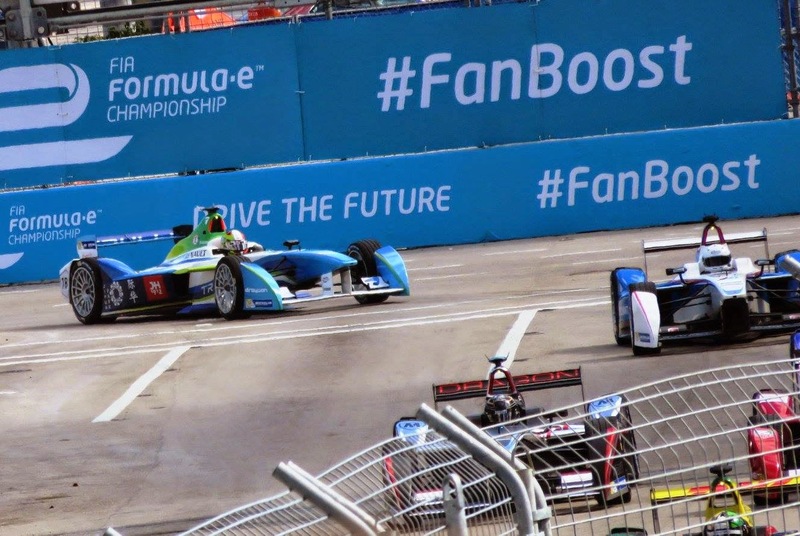 The Sierra Club’s Electric Vehicle campaign saw the Miami ePrix as a catalyst for electric vehicle adoption. Miami has much to gain by a reduction in fossil fuels. This coastal region of six million people, lying only a few feet above sea level, is ground zero for sea level rise. Tesla, Leaf and Volt owners flocked to the race, as well as many others who hope to soon upgrade to an electric vehicle. "It's really captured the imagination of quite a few people who are excited about what the future of electronic technology in road cars is going to be like,” ePrix spokesperson Luca Colajanni told National Geographic. Formula E cars can accelerate from zero to 60 in 3 seconds. Instead of swapping batteries, drivers hop into a new car halfway through the 39-lap race. Fans can vote for their favorite players on-line giving them an extra boost of power. ePrix teams are backed by some big names like Sir Richard Branson, CEO of Virgin Airlines and actor Leonardo DiCaprio. French driver Nicolas Prost, oldest son of four-time Formula One World Drivers' champion Alain Prost, won the Miami race, narrowly beating American driver Scott Speed. Long Beach, CA, will host the final race on April 4. Click here for a short Fox Sports video recap of the race. Thinking about buying an electric car? Check out the Sierra Club's EV Guide and more about our Go Electric campaign.